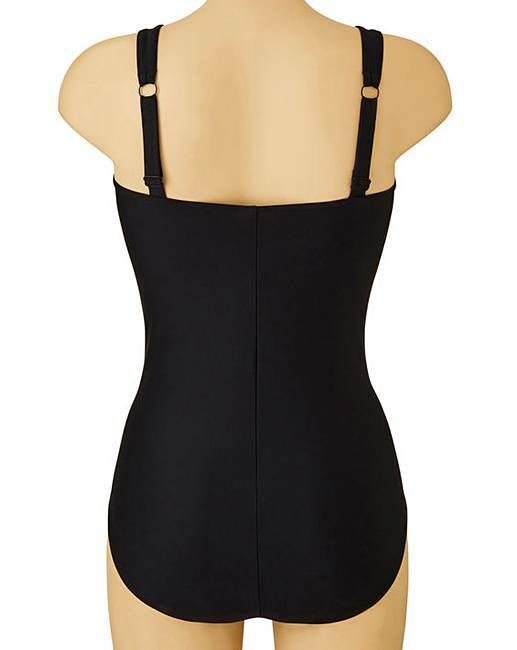 Magisculpt Tummy Tuck Black Swimsuit is rated 4.4 out of 5 by 15. Rated 5 out of 5 by Ness from Fab fit Bought one of these a few years ago and liked it, thought I’d buy another. Very comfortable. Rated 5 out of 5 by Bexter8436 from Lovely swimsuit and perfect size I wanted a swimsuit I felt comfortable in after just having my baby and this is perfect! Rated 5 out of 5 by Mo66 from Really comfortable. 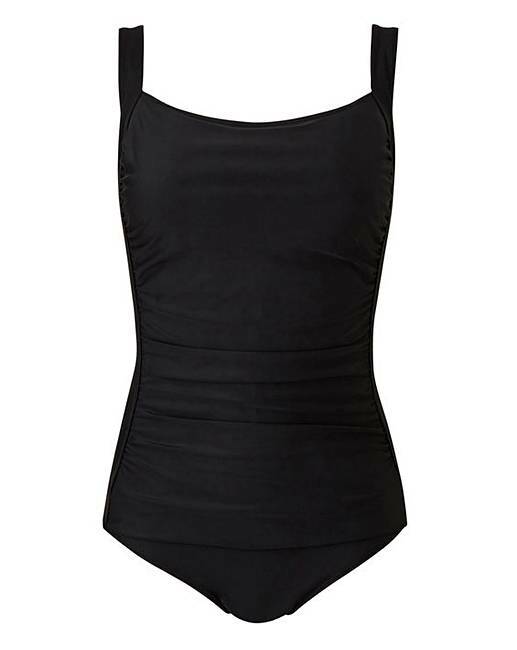 I had the same swimsuit in a different colour and was so pleased with it that when I needed a new one I have got the same again but in a black. It is so flattering and comfortable to wear. Rated 5 out of 5 by Liz from Comfy and smart This is great, it looks good and is comfortable to wear. I swim several times a week and need a comfortable swimsuit which is easy to get on and off. Rated 5 out of 5 by Anni101 from Lovely fit for a longer body This swimsuit fits my 5’10” frame perfectly. It’s square neckline is very flattering and the ruched front covers any lumps and bumps . Rated 5 out of 5 by Val from Good length Have been buying this swimsuit for a few years and is always good value. Rated 2 out of 5 by L514 from Cheap looking, not long enough I'm not sure I would've kept kept this swimsuit even if it had been long enough (it's not, it was still too short at the back for me personally) because the material is so cheap looking. Really disappointing for the price of it. Returned.